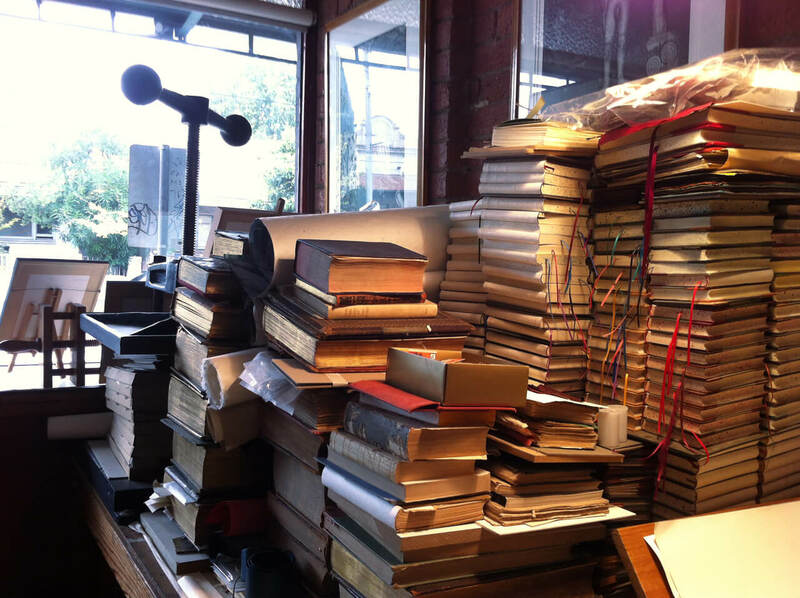 In 2012 I discovered a great hidden treasure in Fitzroy North (Melbourne) called Renaissance Bookbinding. 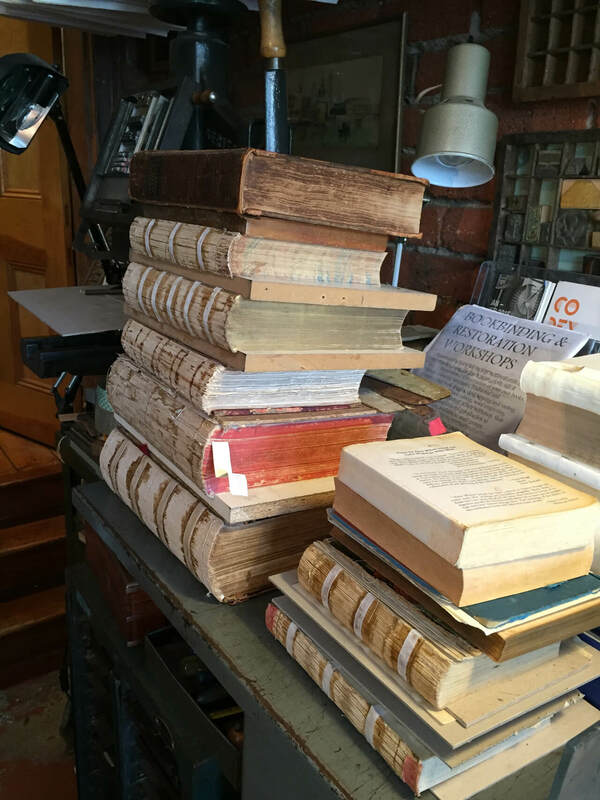 During my first visit to Renaissance Bookbinding, I approached Nick and without hesitation, asked him for a six-month apprenticeship. 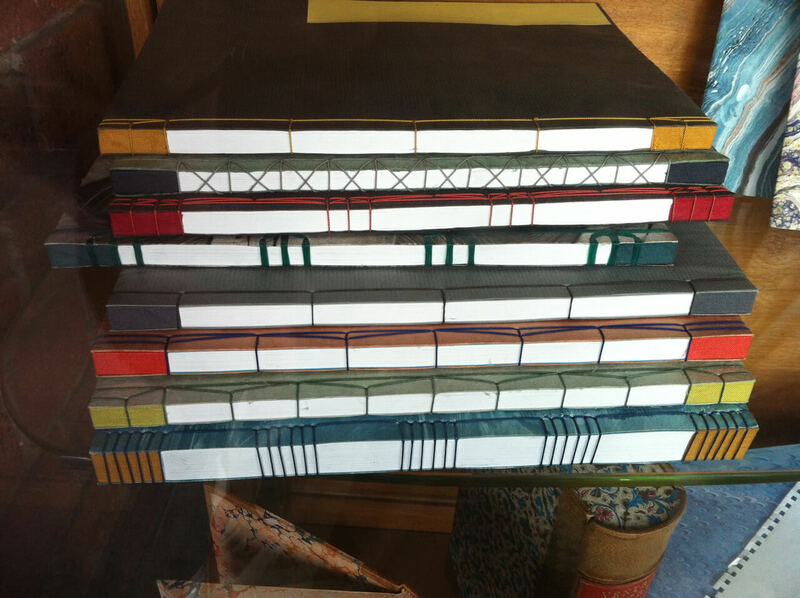 Nick was incredibly kind to agree, and a couple of weeks later I was hands-on learning the art of bookbinding. 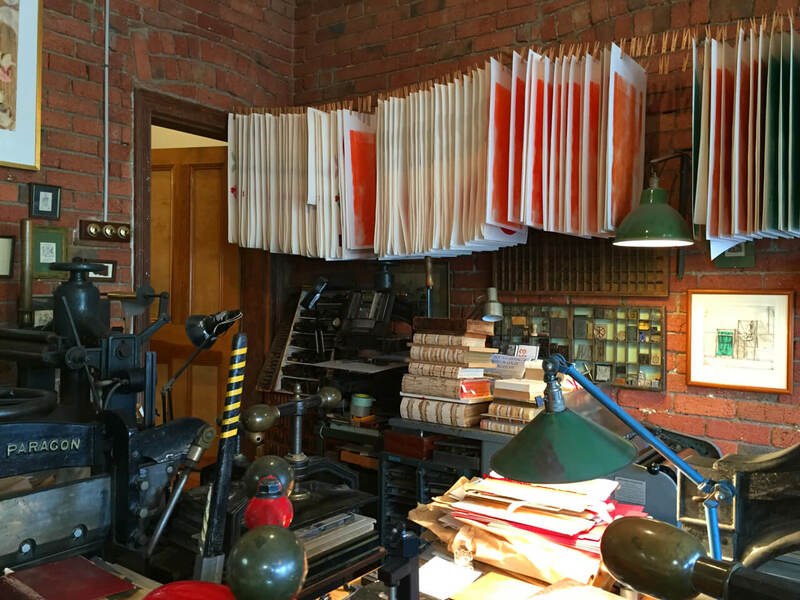 My apprenticeship was a taste of many trades: we created a few handmade notebooks, handset type, gold blocking, embossing and letterpress printing. Customised notebook. Photo by Ian Walton. 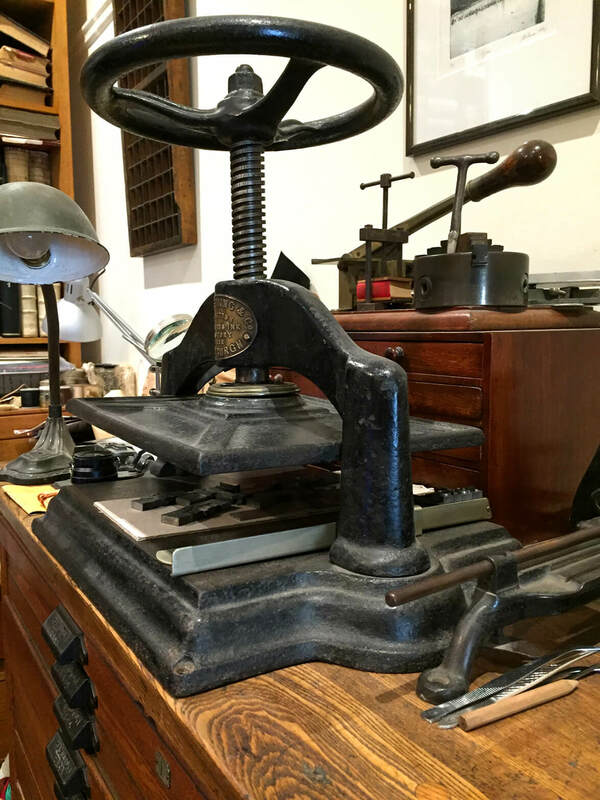 At Renaissance Bookbinding you’ll find many traditional tools and old presses worth checking out. 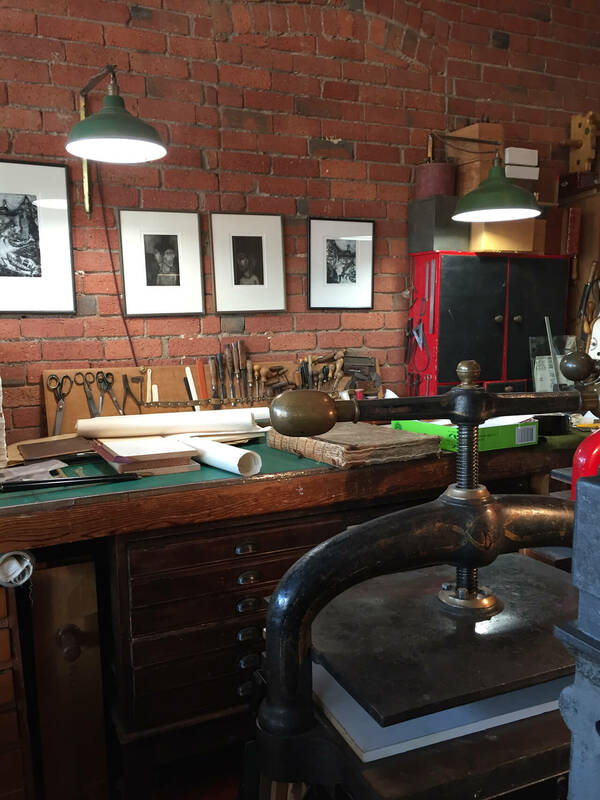 There are public tours available to the Bindery, Printery and Museum for small groups, and a two-hour introduction to the ancient art of bookbinding and letterpress printing ($50 per person). 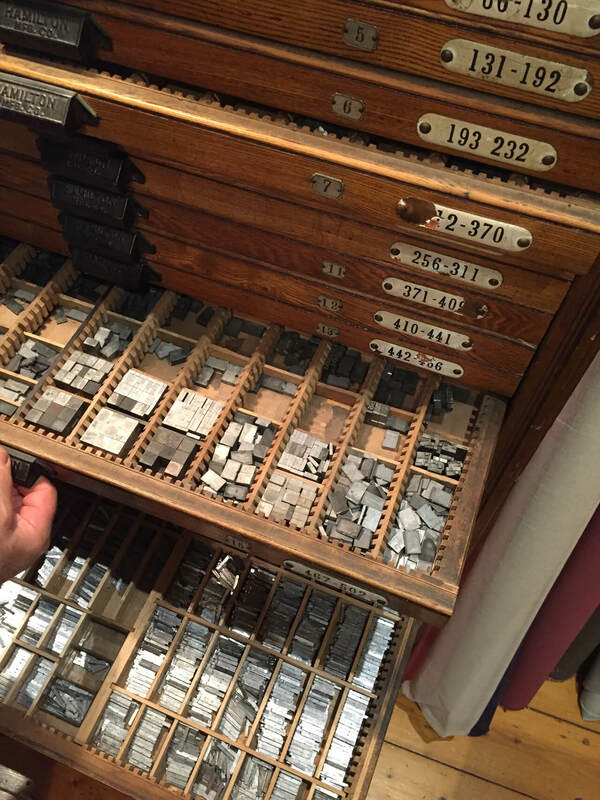 And some prospect type, lettering, signage and found objects. 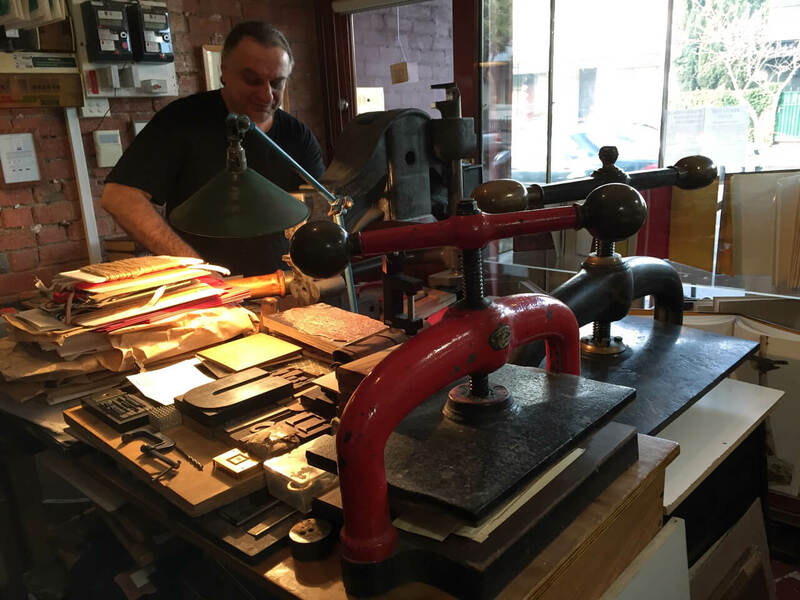 After completing a four-year apprenticeship at S.G. Graham Smith Bookbinders, in 1981 Nick Doslov opened his doors for the first time at The Victorian Hardware Club offering bookbinding and restoration services. In 1984, he moved to Brunswick street (Fitzroy North), where he currently resides. 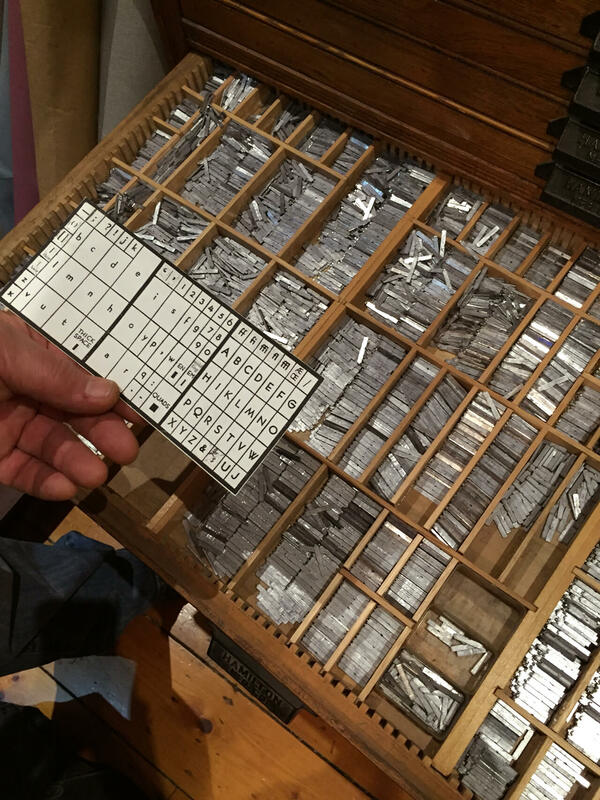 I asked Nick whether he prefers bookbinding or letterpress printing, and he looked at me with a smile and replied “both of them, as they both belong to the process of creating a book from the inside out”. As a renaissance artist, Nick is multitalented. 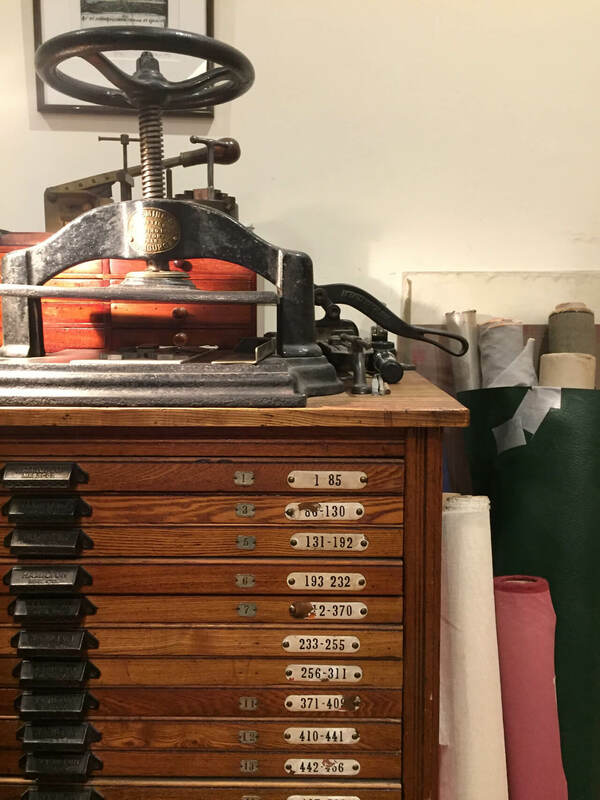 He plays a couple of instruments, wood engraves, prints, paints oil and acrylic marbling and is very interested in visual projections and psychedelic music. In 2013, Nik collaborated with Rob Jones on “Dr. Projectionists”, an installation and multi-projection show displaying traditional and contemporary marbling concepts at Top Shelf Gallery in Melbourne. 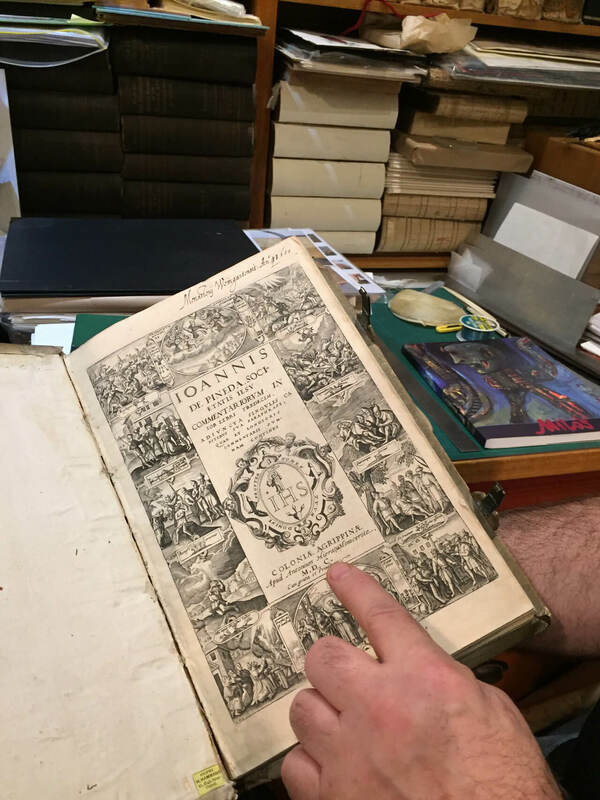 The oldest books Nick has ever restored are “Anatomia Deudsch” by Andreas Vesalius, printed in Venice in 1551 and “The Holy Bible” printed in 1577. 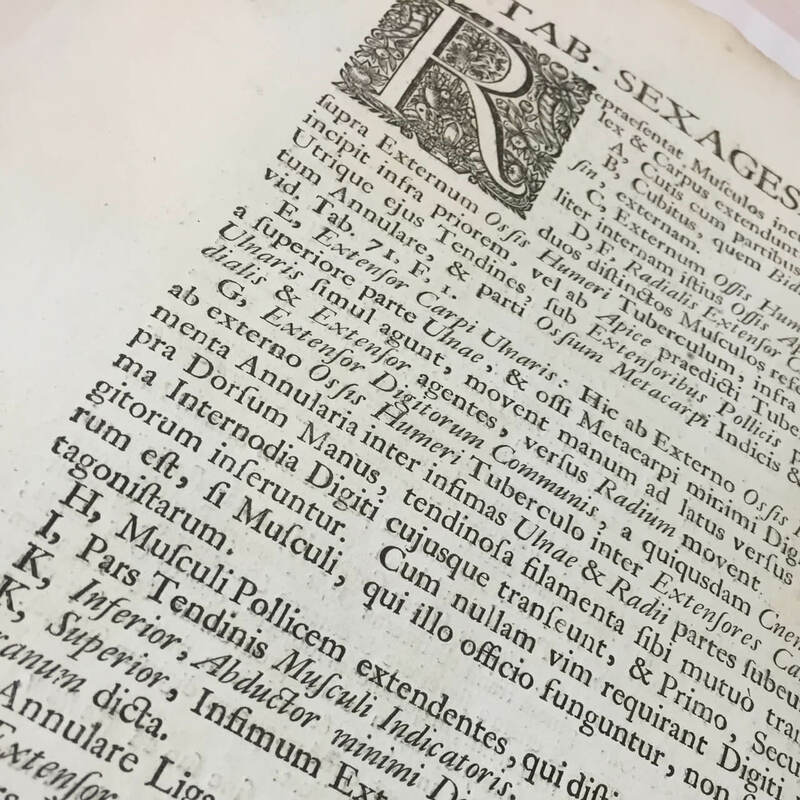 The oldest books in Nicks’ collection are two volumes from 1600 and 1605 documenting the life and work of Spanish Jesuit Ioannis De Pineda. 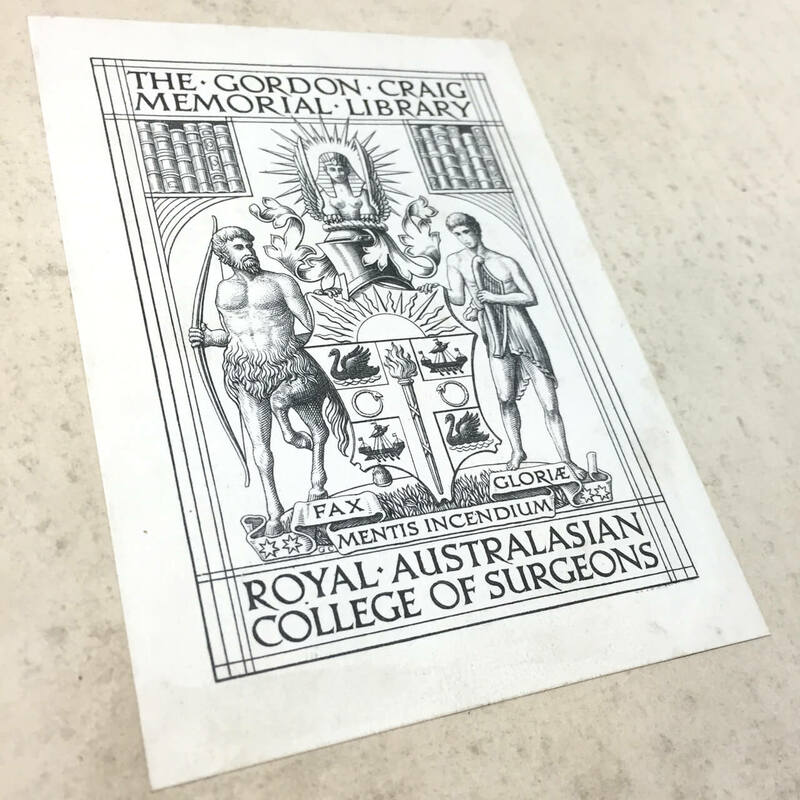 During his extensive career, Nick has worked for many clients including Melbourne University Library, St. Mary Mackillop Centre, The Royal Australasian College of Surgeons, The Melbourne Museum and The State Library of Victoria. He has also worked on Architectural development presentations for some of Melbourne’s landmark buildings such as 101 Collins Street, The Argus Centre, Melbourne Exhibition Centre, The Bolte Bridge, Etihad Stadium, Federation Square and The Twin Towers in Kuala Lumpur. 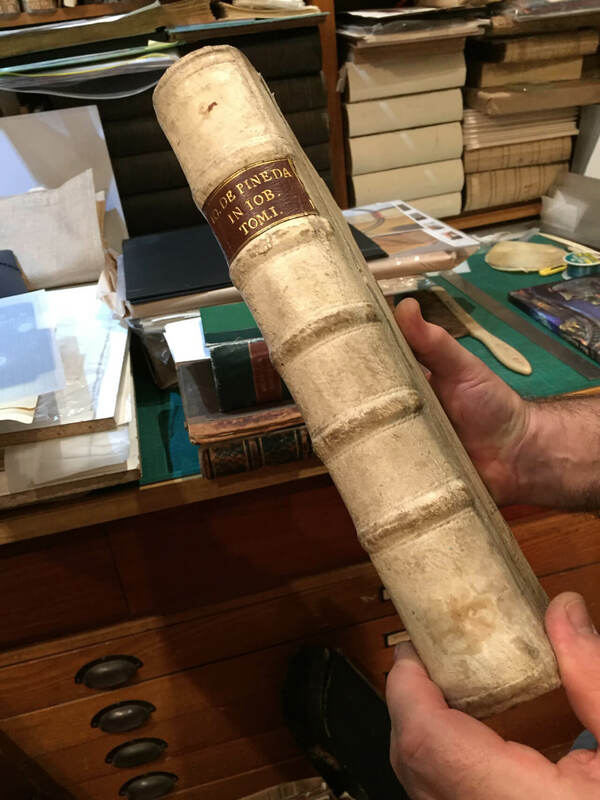 At the moment, Nick is working on the full restoration of a rare elephant folio book called “Anatomia Corporum Humanorium”, written in Latin and printed in Venice in 1750, containing human anatomy and copperplate engravings. 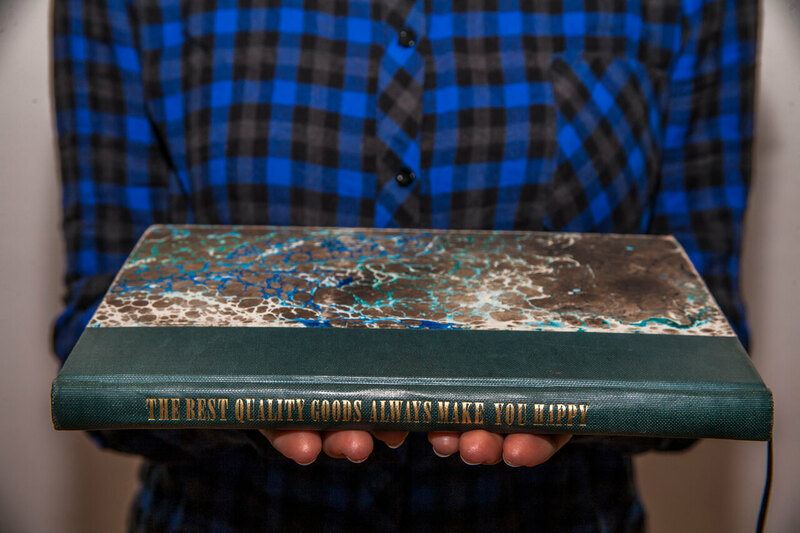 Nick Doslov understands the nature of a book from the inside out. 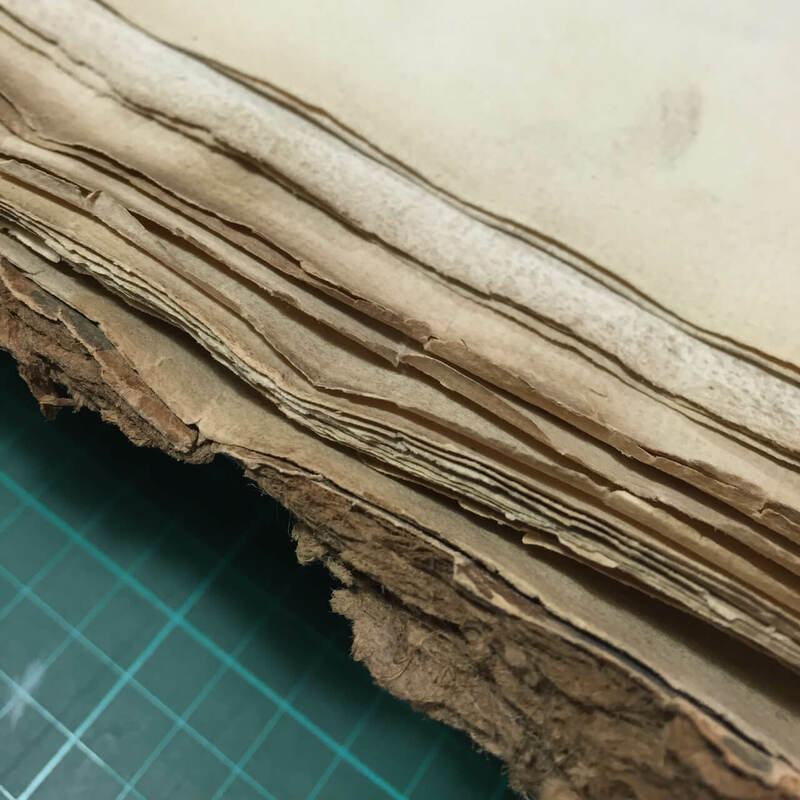 Like a surgeon, he can dissect it recognising its paper, its bookbinding origin and date, its cover, its spine and its printed type. He is extremely skilled and we need to preserve this knowledge and what it represents for our culture and future generations. 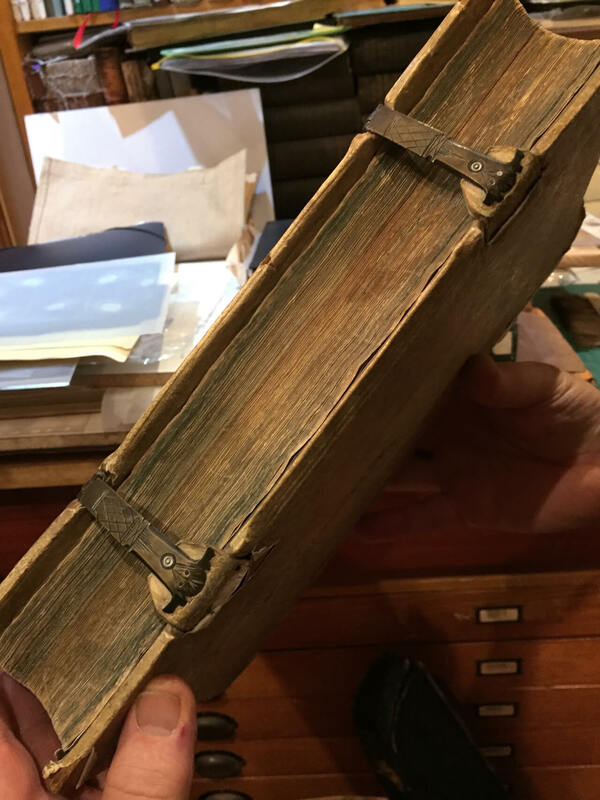 Believe me when I say that none of these images do justice to Renaissance Bookbinding. 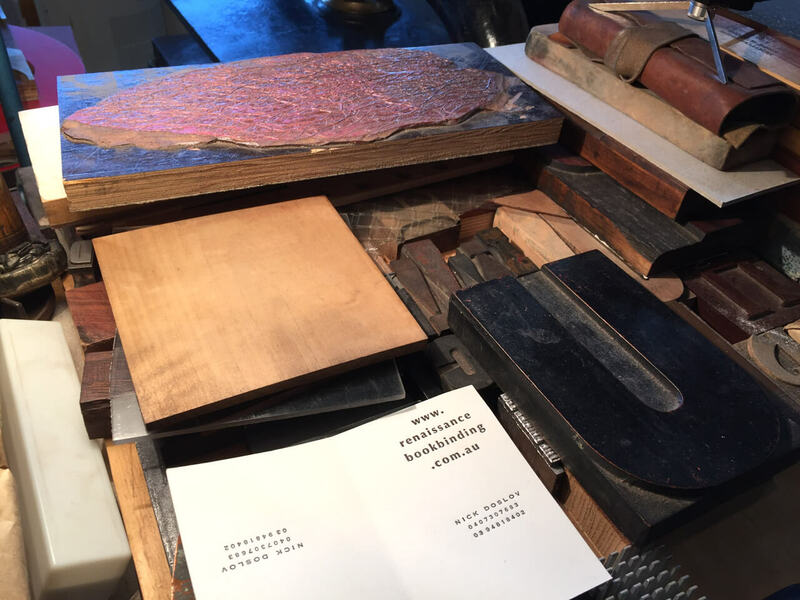 The smell and tactile experience of the handmade paper, leather, inks and traditional tools it is impossible to reflect in an article. 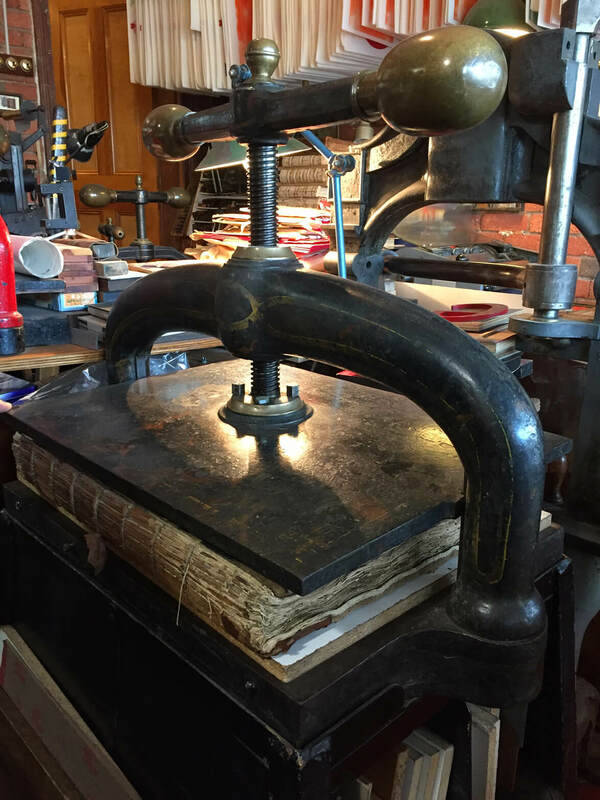 Reading the poster, I recalled my conversation with Nick about the importance of preserving old trades such as bookbinding and letterpress metal and wood printing. We live in a moment in history where some trades are experiencing a revival. 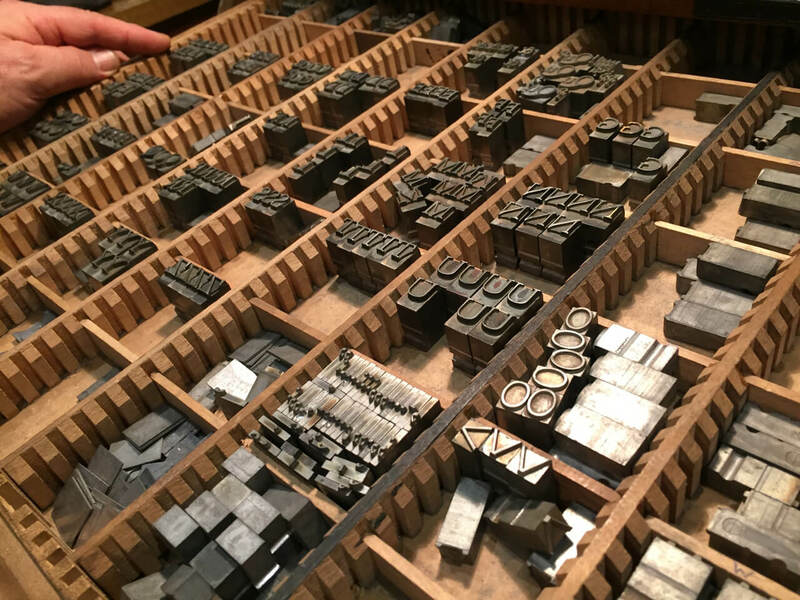 Calligraphy, lettering and sign painting on one hand, screen printing (refer to Made you look documentary) and photopolymer letterpress printing on the other hand, seem to be very popular at the moment, but there are other trades that we should not forget. 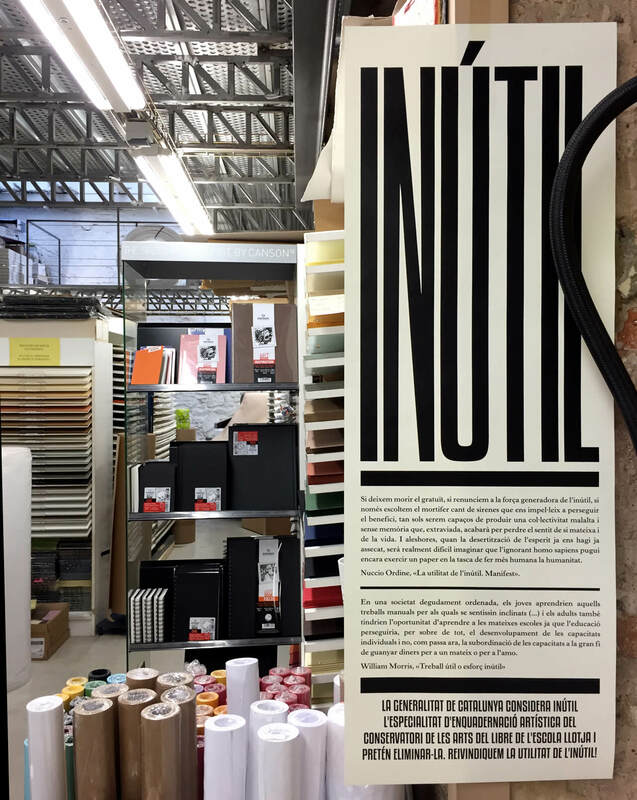 It is up to us as individuals and artists to support and protect these incredible trades and recognise their skilled artisans. 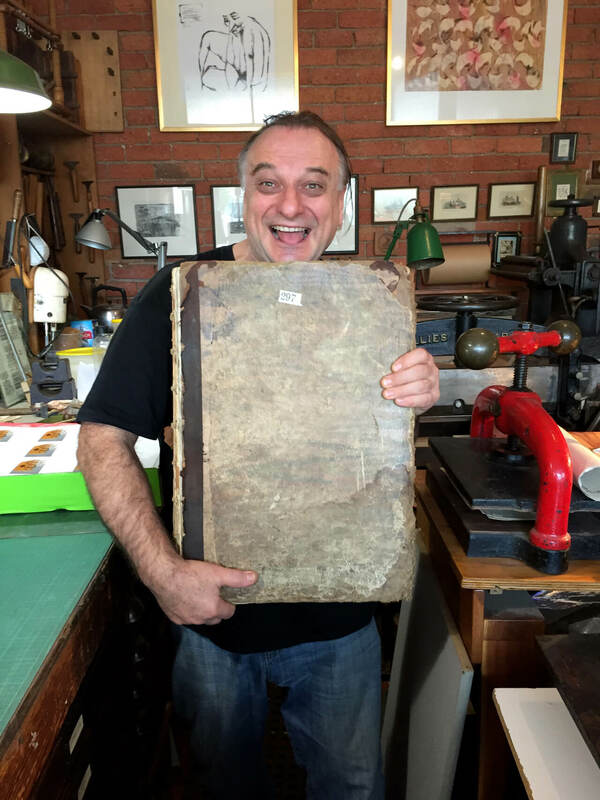 Special thanks to Nick Doslov for preserving our history. 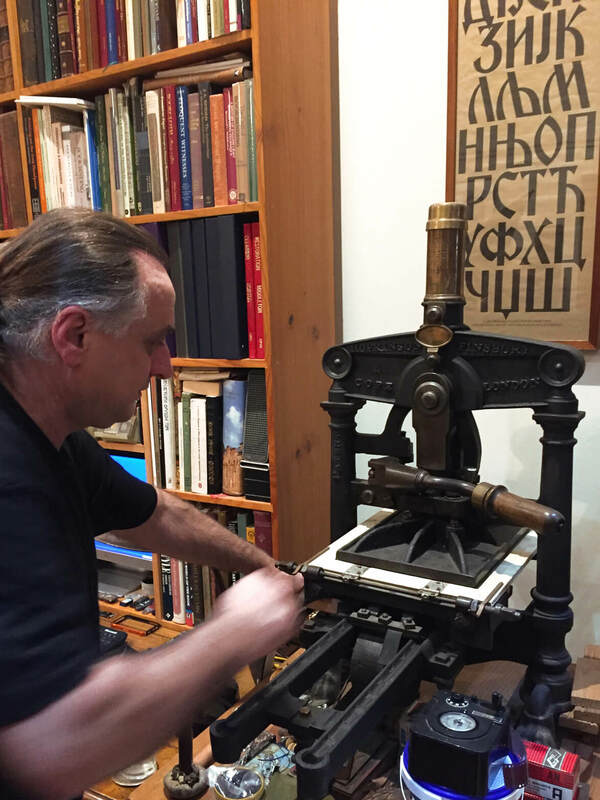 If you are in Melbourne, Renaissance Bookbinding offers one-to-one workshops to learn the medieval craft of bookbinding, including historical sewing structures, book design, gold lettering and tooling, handset type, wood block cutting, wood engraving, linocut and letterpress printing. Apart from Nick, these are a few other artists and friends offering their services in Australia.